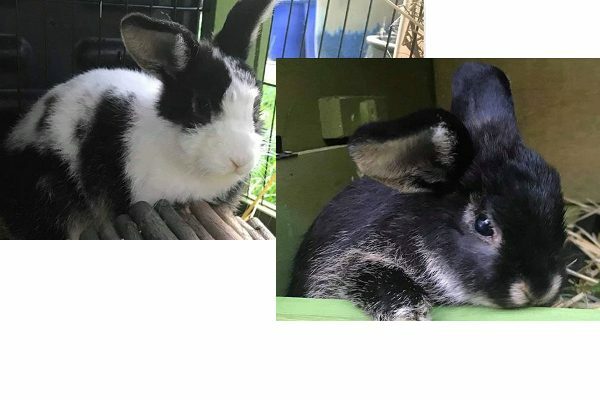 Daffy (black and white doe) & Dumbo (black buck) are a very small pair that have had a rough time in life with eye infections (no further treatment needed), and Dumbo has blindness in his left eye although that makes no impact, and he is perfectly happy. They are easy to handle and have their own little quirks which make them great fun to watch. 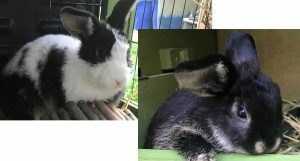 They love to play in the run together and use their toys & hay feeder as an agility course so would make great family pets.